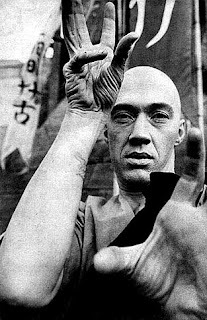 When I was growing up, I wanted to be Grasshopper, the character in David Carradine's TV series Kung Fu. Grasshopper was a child imbued with immense interest in learning about what life means and how to create himself. The conversations between the master and the student intrigued me. My interest in the philosophy of martial arts, drawn from the teachings of the masters of the Shaolin Temple, led me later in life to also study Oriental Literature and Philosophy, reading great works such as The Dream of the Red Chamber, The Tale of Genji, and The Pillow Book of Sei Shonagon. I watched numerous kung fu movies and wanted to also be like Bruce Lee, the man who synthesized Western and Eastern philosophy into an avant-garde form of martial arts. Reading Buddhism in one of those periods of my spiritual enrichment and encountering works such as Zen and the Art of Motorcycle Maintenance and The Dancing Wu Li Masters, I found the idea of deconstructionism and the psychology of awareness even before I plunged into the study of social semiotics in my years in New York City. Zen Buddhism's most famous advocate in the West is Richard Gere, the American actor who is deeply involved in the campaign for a free Tibet. 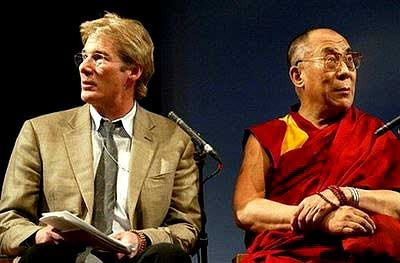 Gere often speaks with the Dalai Lama in making the world aware of the persecution of the Tibetans by the Chinese government. Awareness is a key principle of the teaching of the Buddha. 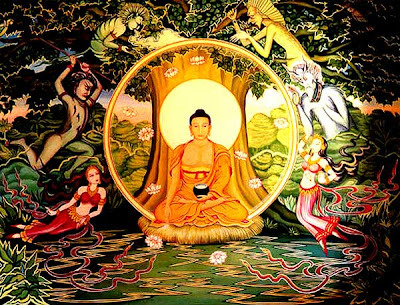 Siddhartha Gautama is a quintessential example of a human being who discarded the garment of nobility and elitism and came down to earth and explored the bare nakedness of alienation and dehumanization. From a prince to a pauper he evolved, in the final days transformed into a philosopher. His struggles against the demons called Mara and his exploration of the self as the powerful cause and effect of existence itself - and how wisdom like pearls will emerge out of deep meditations on the fate of humanity - all these have become a life history example of how one can be at peace and harmony with the universe. Cyberspace is a world of Maya with Mara shooting arrows at the enlightened ones. One has to be a Shaolin master in order to fight these demons and to continue to evolve into wise individuals. Paid cyber-troopers in the Malaysian Mahabharata of this millennium is a feature of this perpetually fragmented world. The industrial model has collapsed. The Malaysian monarchical state is in trouble. The Perak plague is a beginning of the Balkanization of this Asian despotic state we are attempting to reconstruct. In cyberspace, bloggers are playing the art of making others aware of issues and in the process hopefully imparting wisdom. Bloggers are artists practising the art of harmonizing truth, realism, and activism. Truth and falsehood multiply endlessly in cyberspace. 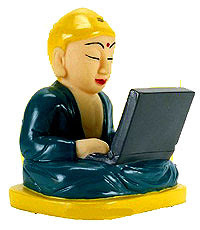 At the center of the personhood of the blogger lie awareness and the Zen-ness of the master's craft. It is the awareness of what to do with truth and falsehood and the subjectivities and reflectivities in between that determine whether the blogger is fighting the Maras the Buddha fought, or has become one of the Maras. 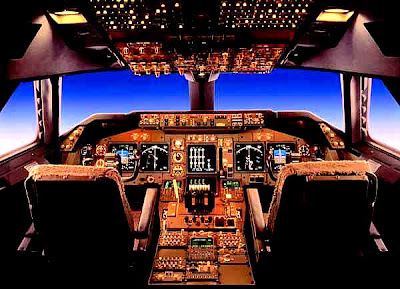 In cyberspace, bloggers are educating, whether it is education for peace or for war. The more popular the blogger, the greater the impact of the message. The blogger is a weapon itself - in the whole enterprise of waging war or waging peace. In the political scene, Malaysia is being deconstructed by bloggers. It is a natural progression of the anarchic nature of the Internet. No politician is safe. You can neither run nor hide in cyberspace. It is a Matrix of the Maya world we inhabit; a world of the Maras that attacked Buddha and of the masses that stormed the Bastille. Malaysia will continue to be destabilized by bloggers - for the better - in her evolution towards the establishment of a just republic or a republic of virtue as the French ideologues of the 18th century would say. Politicians and pirates of the Malaysian Caribbean, ones who stole from the poor to give to the rich, are in constant fear of bloggers - especially of the Zen bloggers. The Zen blogger, like the messiah on twitter is one who does not speak ill of others in cyberspace but makes people ill by invading the inner spaces of those who abuse power and by oppressing others. Like a Rumi poem, the Zen blogger takes the middle path in spreading a message of peace through deconstructionism. But deconstruct, the blogger must. Through right thought, right action, right conduct, and right blogging, the blogger must make others aware of what life ought to be. In Malaysia, what ought to be has become what we are wrought to be. This means we have evolved from a nation of tolerance in the 1970s to a nation of totalitarianism in the 21st century. Like the Wu Li masters and Little Grasshopper, the blogger must know how to dance when given a sword. Like Bruce Lee, he must know how to harmonize the philosophies and create a lethal art of war in his or her work in waging peace. 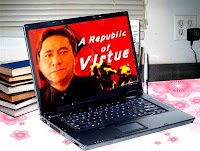 Only when blogging is an art and science of educating for peace and not a dance of death in Dante's Inferno - not when bloggers can be bought and sold for millions of ringgit by owners of the production of falsehood - we can see the Zen and the art of blogging at play. Bloggers must journey into the self and fight the demons within. You must, as the Sufi teachers would say, be skilled in journeying from the levels of Shariat, Tarikat, Hakikat, and Makrifat - the levels of outer and inner consciousness that define the harmonious self. For, essentially, as bloggers we answer to our inner conscience. And ultimately, we are a republic unto ourselves, in a world in which the state is still a necessary evil. Bloggers - beware and be aware. Bloggers- beware and be aware. Beware of the revolving conciousness in the self,it is the hindrance to be aware. it (the revolving conciousdess)hinders the self to be aware. WIth great power comes great responsibility - Spiderman movie. "For, essentially, as bloggers we answer to our inner conscience. And ultimately, we are a republic unto ourselves, in a world in which the state is still a necessary evil." I love that line. And I think it holds true for so many of the blogs I visit, this one included, Antares. Azly Rahman makes wonderful sense, as usual. And there's such music in his words, he makes me dance inside my head. A while back, Knights called me Grasshopper, and today I know why. What a beautiful compliment. As Azly says, we should all be grasshoppers; ever learning about ourselves and our world. Thank you for posting this one, Antares. I may have missed it otherwise. blogging is FUN = can talk nonsenses !! P.S. More like Sarah Palin, methinks! pigs : lucky he dun look like we lah ! !